congrats on the fantasy. reviewed with interest the comments why... and it suddenly occurred to me that the filmy silky effect simply heightens the impression of onion skins, themselves a source of great wonder. to me, anyway. Ok... It's the processing that makes this, but it makes it less of a photograph, and more of art. But I can deal with that. Because I find this stunning. Not all that "colorful", but I LOVE the photo. I really like the diffused feeling of this still life image �very painterly. 10 from me, even though it is not as colorful as I would expect for this challenge. I find this very appealing. No pun intended. The subtlety and the white foggy vignette is perfect. Best onion stock photo in memory. 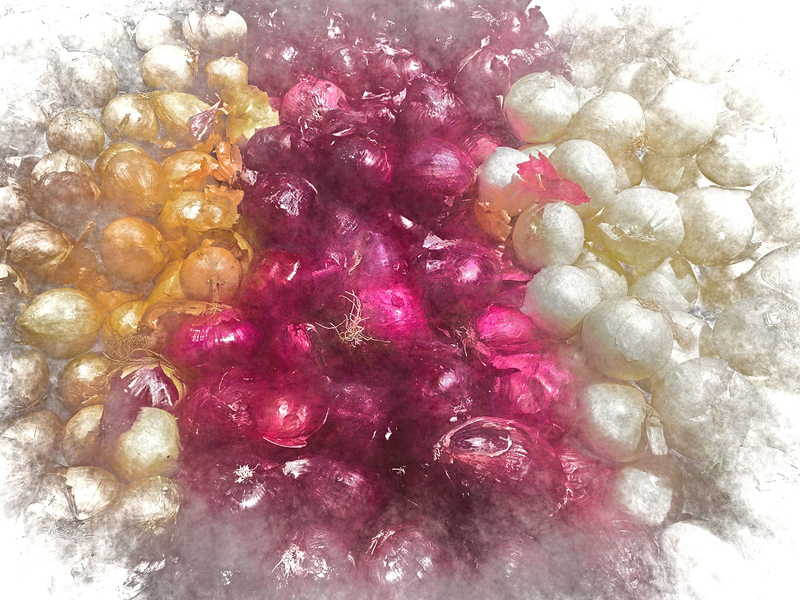 a gossamer confection of onions. bravo. Proudly hosted by Sargasso Networks. Current Server Time: 04/22/2019 08:19:37 PM EDT.